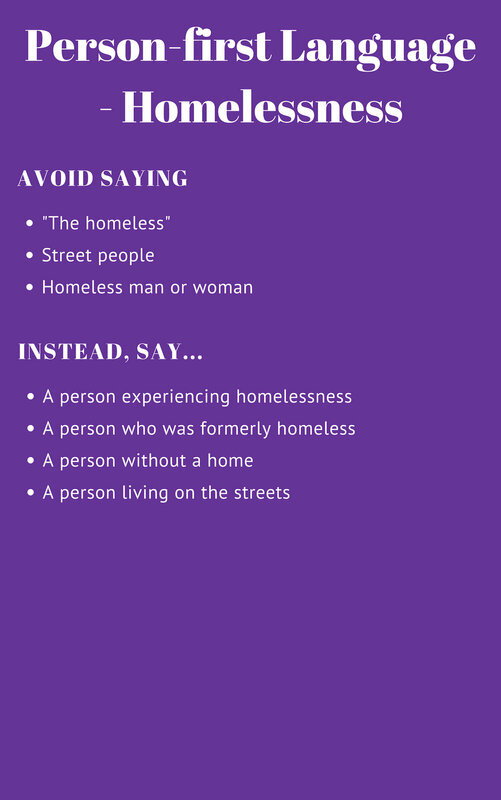 This Mental Health Association Oklahoma tip sheet is designed to break down barriers that exist for journalists in covering mental illness, substance use, homelessness and suicide. We hope it provides you with best practices that can help advocates as well as members of the media. Together, advocates and media members can work side-by-side to ensure that editorial and deadline decisions remain mindful of telling stories that are fair, accurate and compassionate. So how can all of us -- advocates and the news media -- work together to enhance the public understanding of mental illness, substance use, homelessness and suicide? Raise awareness of resources in the community. To put this aim into perspective, let’s quickly run through some info graphics that highlight preferred language when it comes to these critical issues. 1. It goes without saying this is despicable. Imagine what the victims and their families must have felt when they saw this headline. 2. We’re all people first. It’s time for advocates and the media to consider using person-first language.. 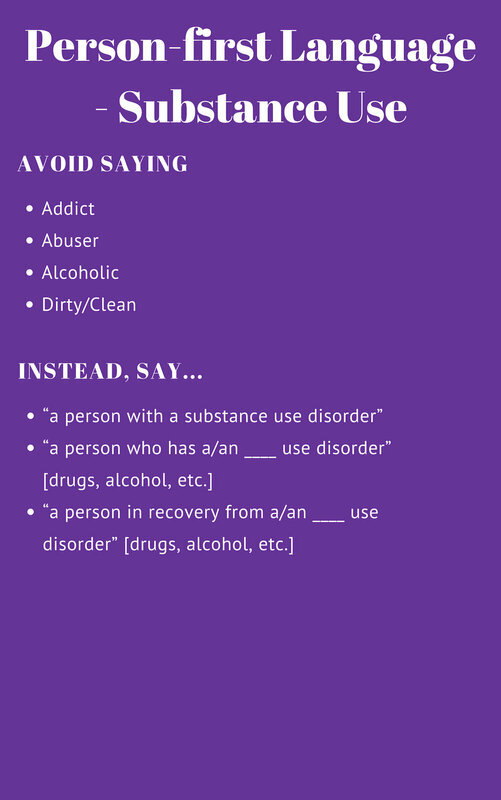 The slides below were prepared by mental health professionals in an attempt to provide media with guidelines for embracing person-first language. As media continue to evolve, and the focus on hyperlocal coverage of communities versus cities continues to emerge, media members would be wise to remember that the people they are writing about aren’t nameless faces, but pieces in the fabric of our communities. 4. When talking or reporting on mental illness, one of the most important things to remember is that some people want to make a direct link between mental illness and violence, but the fact is that people impacted by mental illness are 11 times more likely to be the victim of violence than the general population. 5. Let’s talk about and reporting on suicide. 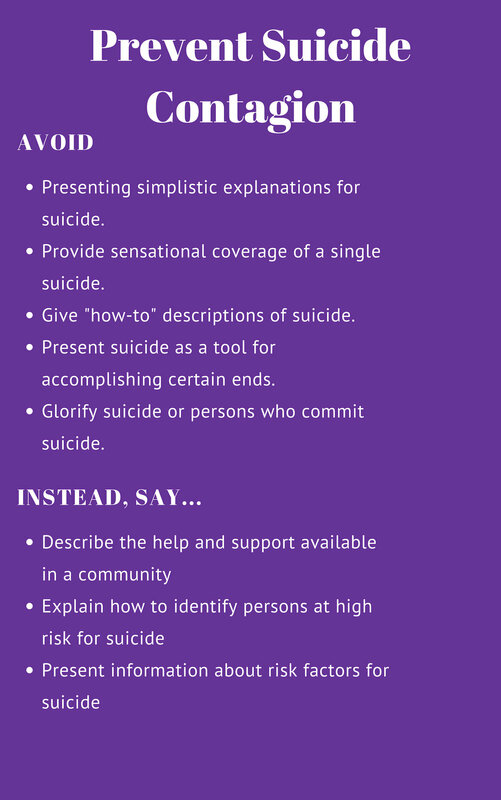 Check out this info on preferred language for reporting on suicide, as well as preventing suicide contagion. 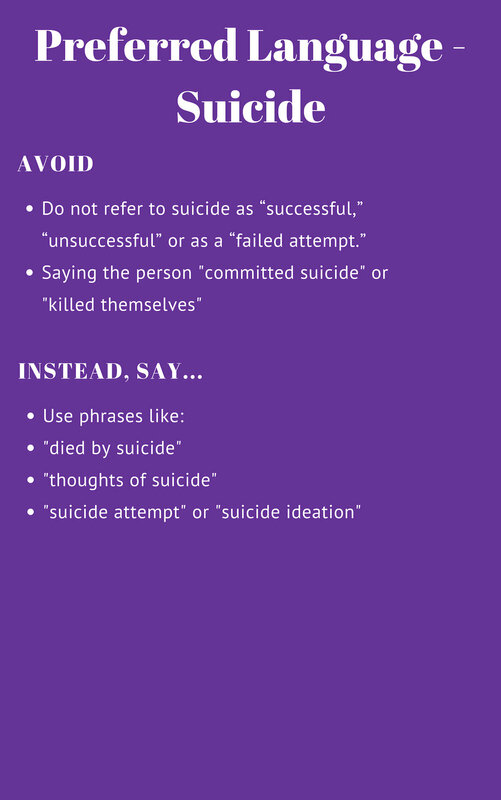 Suicide contagion is “the exposure to suicide or suicidal behaviors within one's family, one's peer group, or through media reports of suicide and can result in an increase in suicide and suicidal behaviors.” A great resource to direct people to is the National Suicide Prevention Lifeline. 6. We hope what you’ve learned from this blog will help us all raise awareness that we can all make a difference to be more compassionate and that we all play a role in saving lives from suicide by watching out for each other and connecting people we know and love to vital services in the community when they need it most.